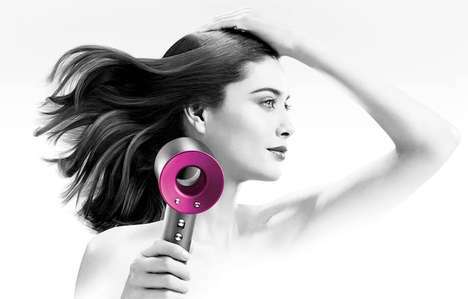 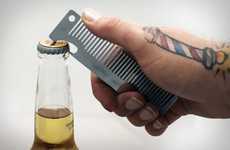 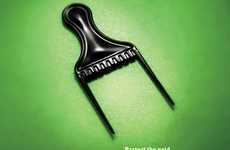 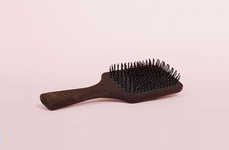 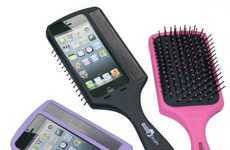 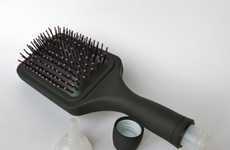 The 'Qwik-Clean' is a self-cleaning brush that makes brushing hair more hygienic. 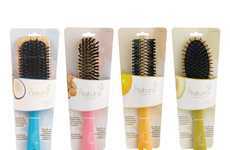 Cleaning hairbrushes can be a time-consuming, if not impossible task as it can be extremely difficult to remove tangled hairs from brushes. 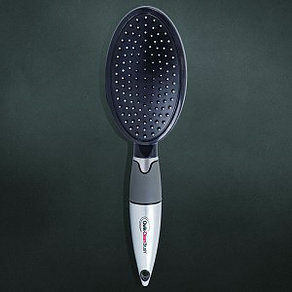 The 'Qwik-Clean' resolves this issue with a unique feature -- it has buttons on the back that cause the bristles to retract into the base of the brush and cause the hair to fall off. 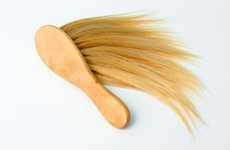 The easy-to-use self-cleaning brush is convenient for people who tend to use brushes daily and would like to have more hygienic and low-maintenance brushes. 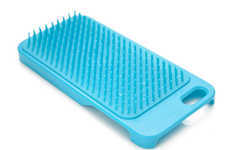 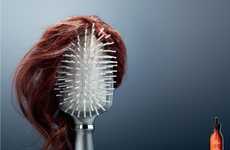 With hygiene-focused products being incredibly popular, this hairbrush adds to that market by creating a convenient and clean way to use brushes and then subsequently clean them.